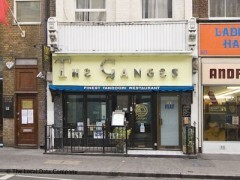 About: The Ganges is an Indian restaurant serving popular Indian dishes. I couldn't fault The Ganges. I've been twice and will be back. Service was very good, particularly as I said I was in a hurry to get to the theatre. Lovely food. A few more smiles would help but otherwise, faultless.